This original woodcut card is made by printing a hand-carved woodblock on to creamy handmade paper. The textured paper is made from New Zealand flax, also known as harakeke. 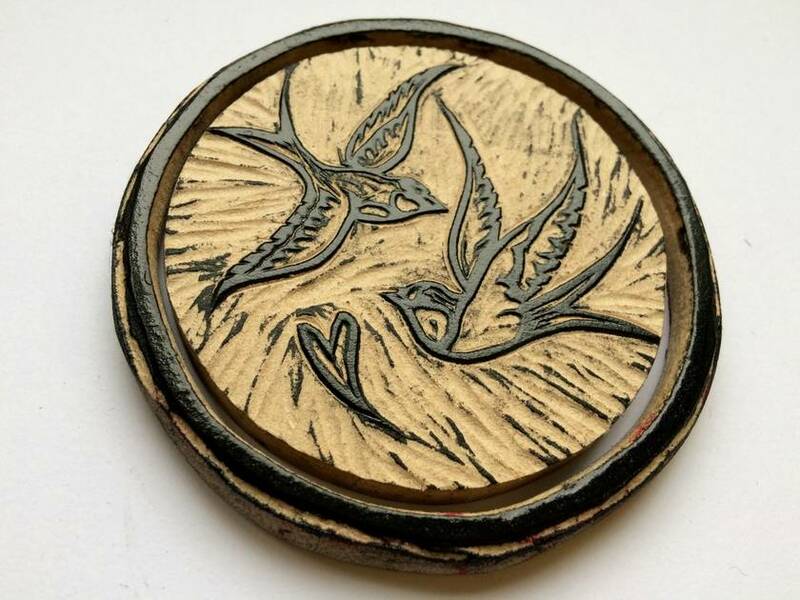 The woodblock is inked up with oil-based ink using a hand roller or brayer. 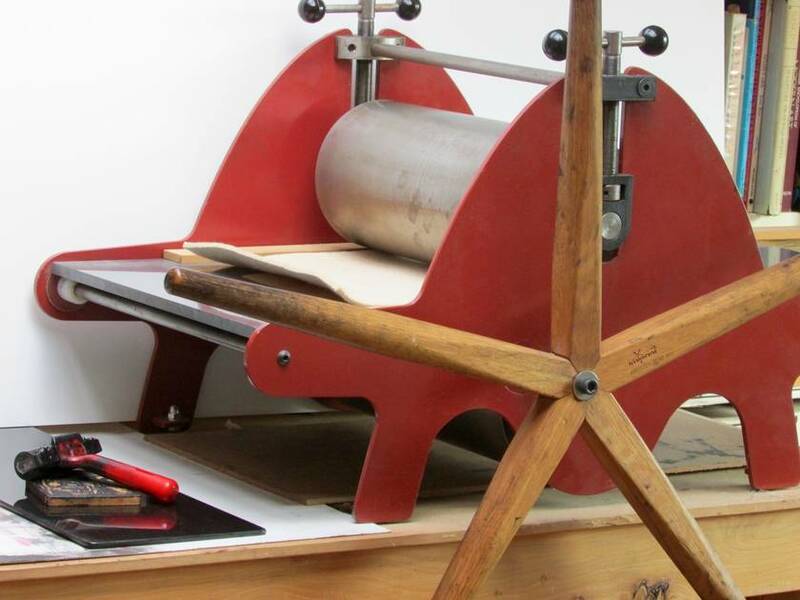 I use my own hand-operated printing press and once printed, I hand-colour the woodcut with watercolour making every print a unique and original work of art suitable for framing. 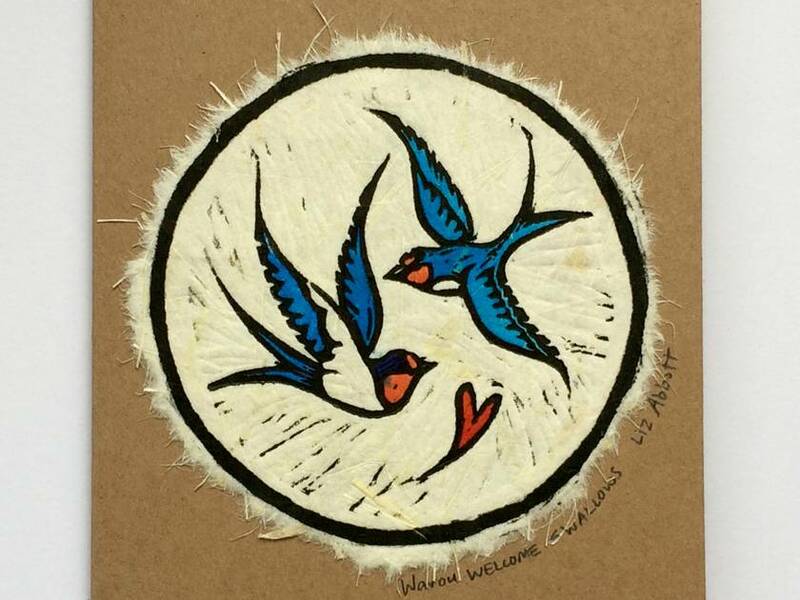 The woodcut is signed by the artist and titled “Warou WELCOME SWALLOWS”. 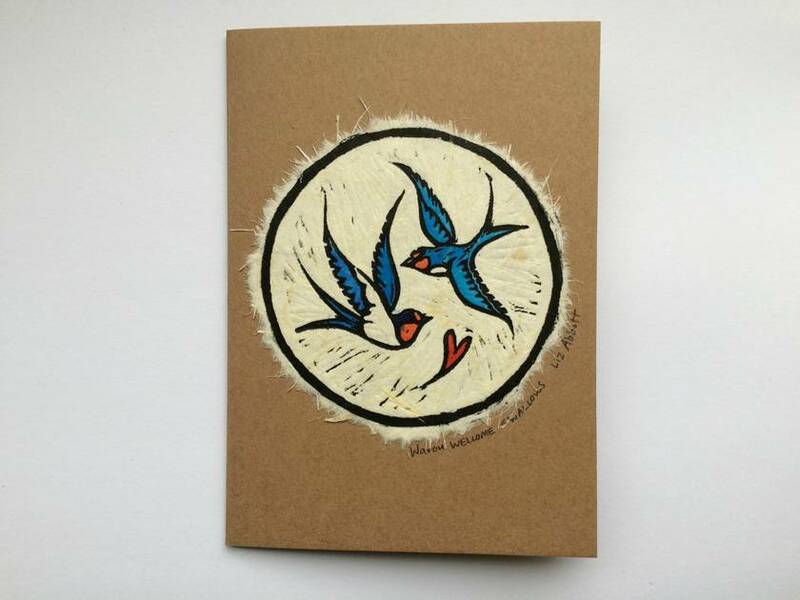 It features the warou or welcome swallow, Hirundo tahitica - an Australian bird that arrived in Aotearoa/New Zealand in the mid twentieth century. The print is mounted on a card made from 256gsm kraft card which measures 110 x 153mm when folded. The card is lined with blank cream 100gsm paper for your message and comes with a matching brown envelope. The cards are available in a range of designs – see my other listings.